Great opportunities often fall apart during less than stellar presentations. Financial clients are often confused, turned-off or bored by robotic product and information dumps. 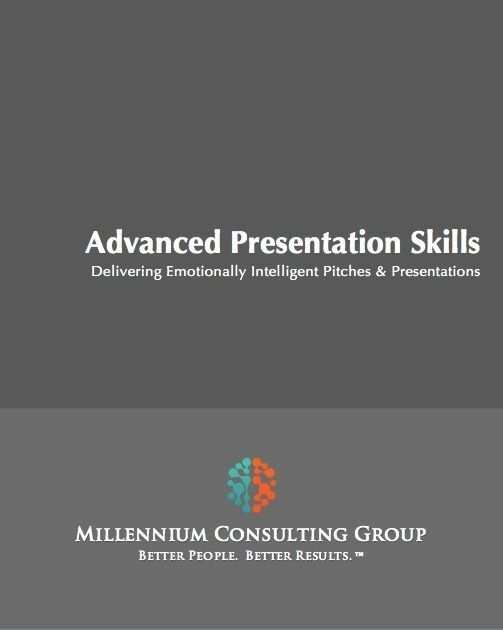 Having the ability to create and deliver a clear and concise message is an integral skill for all financial professionals. Sometimes your pitch is delivered in an elevator, other times it is in a boardroom and sometimes it is in a letter or through email. Getting your message across can be the difference maker between winning a new client and time wasted. Instruction is focused on how the best think about, build and deliver high impact presentations and messages.